Cassper Nyovest's fans are swooning over his new teaser video for #FillUpMosesMabhida, Michael Bublé opens up about his son's cancer battle, and the Obamas are #CoupleGoals. This and more on Monday's #HotGoss with Jane. There are just over 50 days left until Cassper Nyovest gets ready to #FillUpMosesMabhida for what many describes as the 'concert of the year', and boy-oh-boy is he putting his all into it to prep for the day. Over the past few months, many of his fans have flooded his social media with comments about his smoking hot physique and washboard abs. And by the looks of things, they weren't exaggerating. 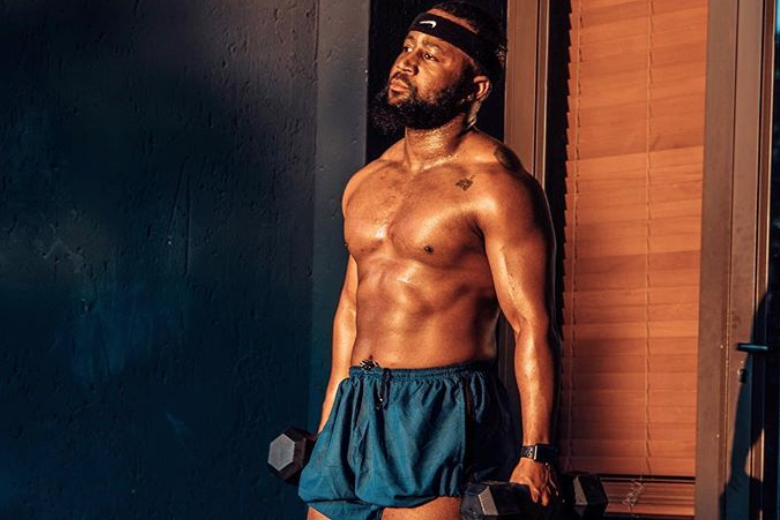 Nyovest took to his Twitter to share a teaser video of him shirtless in beast mode working out to a snippet of his new track, Hase Mo States, which dropped last week. All roads lead to Moses Mabhida Stadium on December 1st, and it's sure going to be one for the record books by the looks of it. Beast mode!!! 59 days till #FillUpMosesMabhida . New single on Friday!!! In a tear-jerking interview with The Today Show Australia, Michael Bublé got real about his son's cancer battle. Noah was diagnosed at just three-years-old in 2016 with liver cancer. Buble said that it was one of the worst things they've ever been through, but knowing that they were surrounded by love and prayers meant the world to him and his family. "More times than people could understand, some days when we wished we didn't wake up, when we did, we felt the love of those people, we knew they were praying for us, we knew there was goodness out there. It gave us faith in humanity, to be really blunt." he said. Seems like amidst it all, Michael has been trying to get back out there. According to his website, his new album ❤️(pronounced love) will be released on 16 November. The first single, 'When I Fall In Love', is out now. Barack and Michelle Obama have to be one of the most adorable couples on planet earth?! The pair recently celebrated their 26th wedding anniversary and took to Twitter to share tweets that made many very jealous. First, it was Barack who penned a sweet tribute to his wife of 26 years by saying: "Happy Anniversary, @MichelleObama. For 26 years, you’ve been an extraordinary partner, someone who can always make me laugh, and my favorite person to see the world with." Then Michelle followed shortly after by responding to his tweet: "Thank you @barackobama for 26+ years of love, trust, and respect - for being a man who always lifts up and honors me and our wonderful girls. Each day I’m with you, I’m reminded of what a treasure you truly are to us all." The Obamas love their public displays of love to each other. Back in October last year, Barack shared an adorable video tribute to his wife at a conference that she was presenting at. You can check out the video here. Twenty-six years on and their love for each other grows deeper each day - now that's a couple the world should look up to!